a coalition of government agencies, nonprofit groups, foundations, and other supporters—have joined together to celebrate the 50-year mark through numerous educational events, including the "Wilderness Forever" nationwide photography competition and print exhibition at the Smithsonian. About the Photo Competition: From May to September 2013, the Wilderness50 coalition, distinguished panel of judges (see list below), the Smithsonian Institution, and the team at Nature’s Best Photography invited photographers at all levels of experience to enter the historic "Wilderness Forever" photography competition. This was a call for entries for the best photos and personal experiences within America’s protected wilderness areas (see the official list link at top, right). There were four contest categories: Most Inspirational Moment, People in Wilderness, Scenic Landscape, and Wildlife. The Judging Panel selected an overall Grand Prize, and a Pro, Amateur, and Student winner and honorable mentions in each of the four categories. 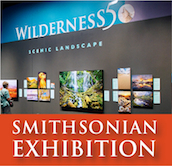 Exhibtion Collaborators: This historic exhibition was developed in collaboration with Nature’s Best Photography, the Sierra Club, Wilderness50, and the Wilderness Society. 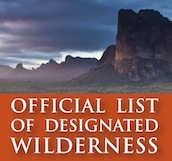 Click to see the list of U.S. wilderness areas.